Townsville mourns: Bishop Emeritus Raymond Benjamin died on March 6. TOWNSVILLE’S fourth bishop has died, aged 91. 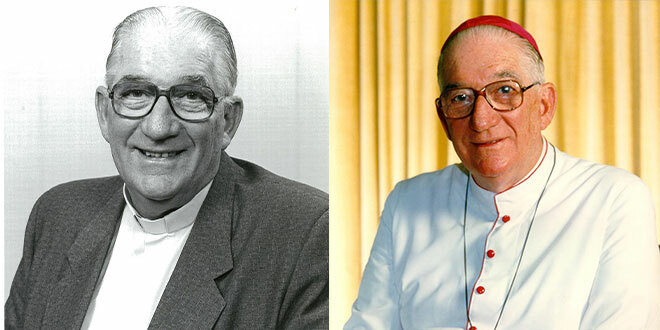 Bishop Emeritus Raymond Benjamin, who served as the fourth bishop of Townsville between 1984 and 2000, is mourned by Catholics in the northern Queensland diocese as a “leader before his times”. Bishop Benjamin turned 91 on February 24. Townsville diocesan administrator Fr Mick Lowcock described Bishop Benjamin as a “real pastor” of Townsville. “Many saw him as a wise and loving Bishop,” Fr Lowcock said. Born in Rockhampton in 1925, he entered the seminary in Brisbane and was ordained on July 25, 1949 by Bishop Andrew Tynan of Rockhampton. He served in parishes in the Rockhampton diocese for 34 years before his episcopal ordination on May 9, 1984. Bishop Benjamin is survived by one brother. He was known for his love of family, travelling overseas for weddings and other reunions. Bishop Benjamin’s funeral will be held at Sacred Heart Cathedral, Townsville, on Thursday, March 17 at 11am. A vigil service will be held on Wednesday March 16 at 7pm.